Robin Davis was born a creator and builder. While her artistic life may have started in a way familiar to most crayon-wielding preschoolers, her art has evolved to a place where she now claims it as her passion. 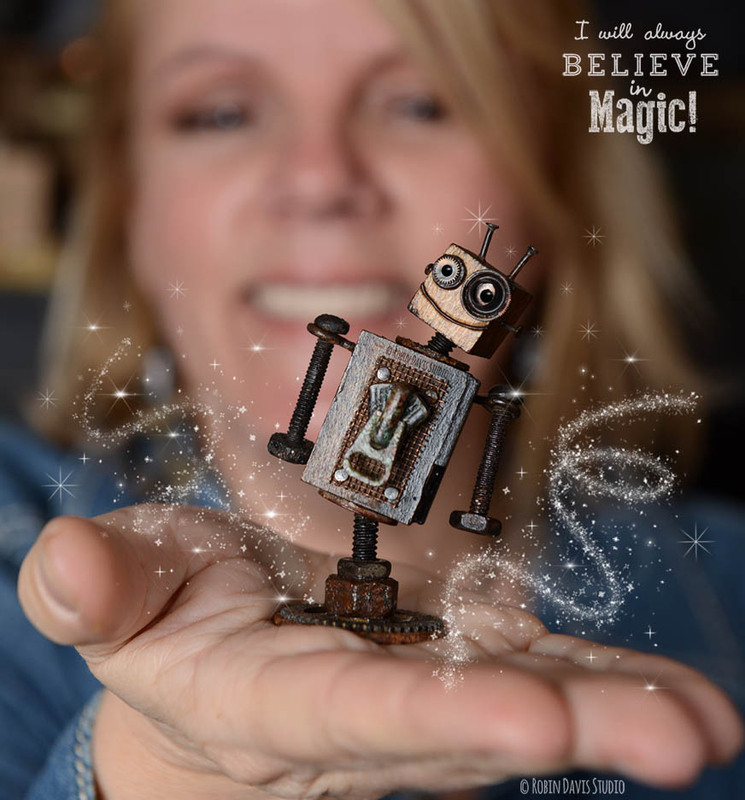 Her professional career started with children’s illustration and art licensing, but her current endeavors now have her immersed in various forms of upcycled art and 3D sculptures including her incredible found object robots built using reclaimed industrial items and rusty metal found objects. 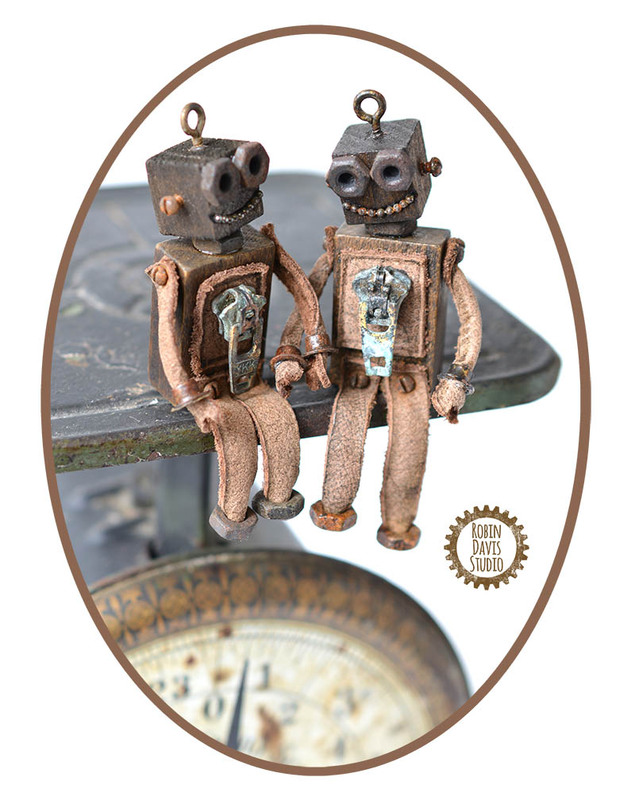 Much of her studio time is now dedicated to building retro styled robots, and other whimsical characters, using a variety of unique mediums including found object treasures, reclaimed wood, glass, leather, and many other vintage articles. Robin lives and loves in a small rural city outside Toronto Ontario, Canada, where she resides with her husband and teenage son – and many rusty friends.